There are plenty of bargains to be had at the new season sales at Debenhams. You’ll find collections of dresses priced at 30% off. We love the Floral Belted Dress, now just £20.80. The pop of colour is perfect, while the skinny belt nips you in at the waist. Update your make up bag with fresh, bright colours and give your skin an enviable radiance thanks to 10% off beauty and skin products. 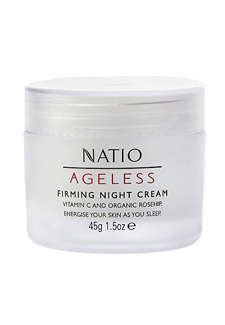 Natio Ageless Firming Night Cream is full of vitamin C, which helps your skin cells revitalize while you sleep! A pot of the magic cream is now £13. You could even freshen up a number of rooms thanks to the 20% off homes collection! There’s a little bit of everything in this offer, including free delivery! So grab the deals while you can.